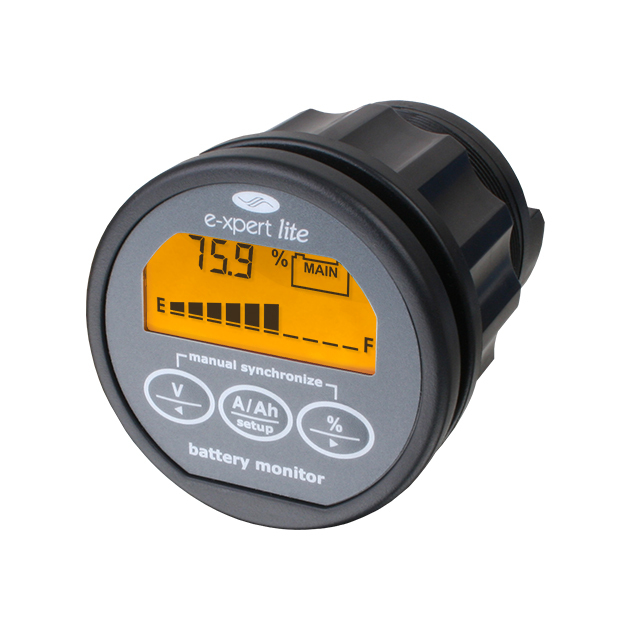 The Expert Lite is a high precision battery monitor. Defining the amount of energy available in a battery is a complex task. 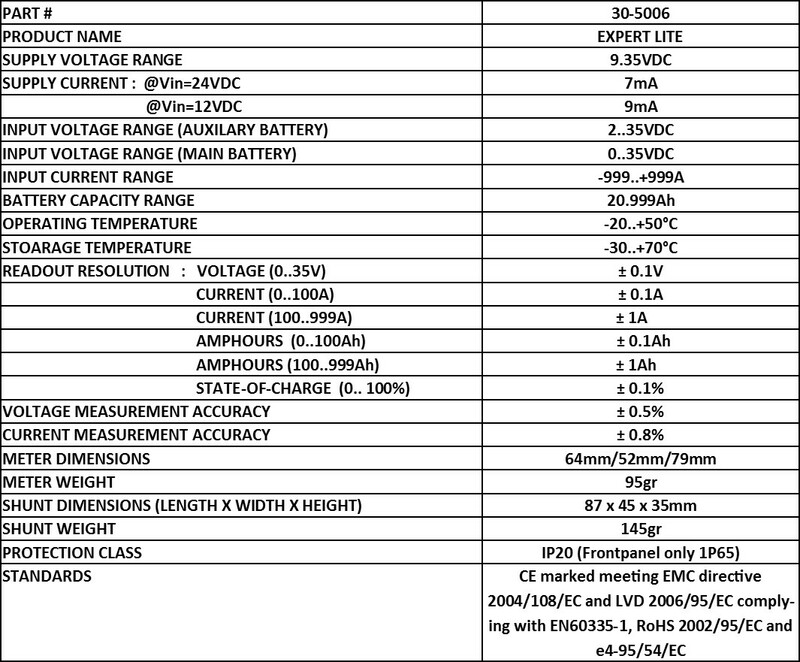 Discharge current and many other factors influence the actual battery capacity. 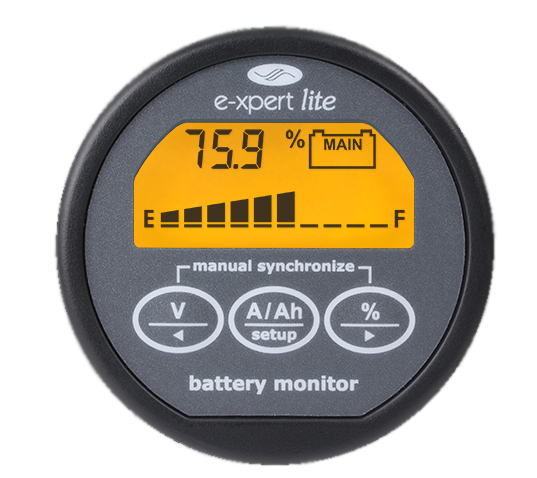 The Expert Lite Pro selectively displays; voltage, charge and discharge current, consumed amp-hours and remaining battery capacity. Using a clear backlit LCD and an intuitive user interface, all parameters can be recalled with just a press of a button. The Expert Lite has a smart clear backlit LCD user interface. A second battery input also provides voltage only. The State of Charge bar graph proves “at-a-glance” information. All features provided for a single battery bank, voltage only for a 2nd.